Holocaust Memorial Day was marked in Ireland yesterday [28 January 2018] with many public ceremonies, and it was one of the themes in my Sunday sermons in both Castletown Church and Holy Trinity Church, Rathkeale. 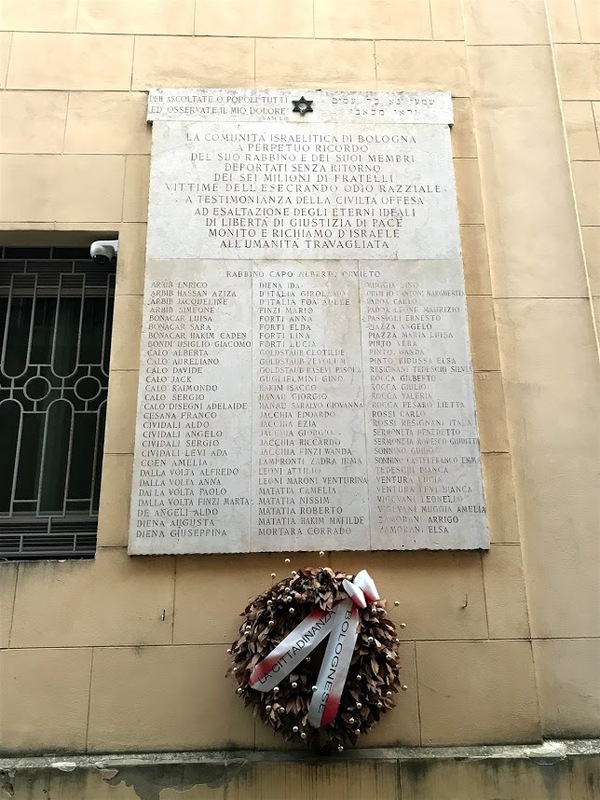 At the same time, the World Jewish Congress was in Bologna to participate in yesterday’s ‘Run for Mem,’ a commemoration run through Jewish sites in the city for International Holocaust Remembrance Day, and a run to bring the community together toward the future. The city’s Jewish community has been in Bologna since mediaeval times and has also experienced tragedy in modern times. 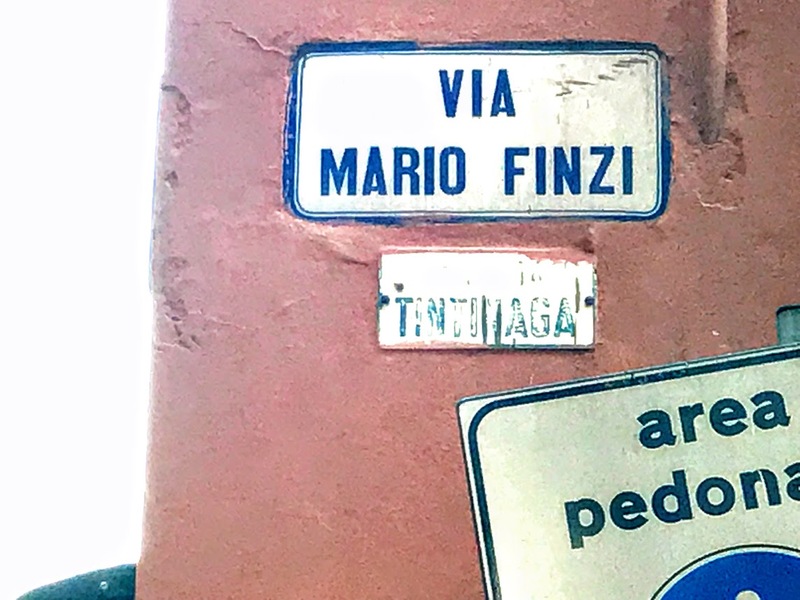 To mark that occasion, a special video, ‘The Jews of Bologna,’ was produced, and it concludes with a photograph I took in Bologna two months of the street sign on Via Mario Finzi. This is the street where Bologna’s main synagogue stands, and it was named after Mario Finzi (1913-1945), a hero of the resistance who is named on the Holocaust memorial on the façade of the synagogue. Bologna’s main synagogue was destroyed in 1943 during World War II. But the synagogue was rebuilt ten years later by Guido Muggia, the son of the original architect, and was dedicated in 1953. For the first time, the façade – albeit on a side street – was visible to the public. For security reasons, the entrance to the synagogue is through the Community Centre at the back. But the façade of the synagogue can be seen on Via Mario Finzi. The street is just three minutes’ walk west of Piazza Maggiore in the heart of the historic centre of Bologna. Originally named Vicolo Tintinaga, it was renamed in honour of Mario Finzi, who was a Jewish magistrate and judge and a talented musician. Finzi was born in Bologna in 1913, the son of teachers. He was a talented musician and pianist, and was already a magistrate and a judge at the age of 24. He began his legal career in Milan in 1938, but he was soon hampered by the Fascist racist laws promulgated that year. He then moved to Paris, where he dedicated himself totally to a life as a musician, working as a pianist on a contract with French Radio. When World War II broke out, Finzi was back in Italy renewing his French visa and found he could not return to Paris … nor could he resume work as a lawyer or a magistrate in his own home country. 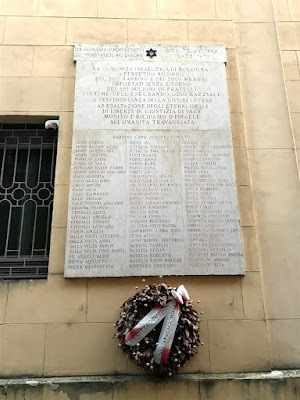 He began teaching at the Jewish school in Bologna, and in 1940-1943 he was active in a Jewish organisation assisting Jewish refugees in Italy. Soon he was directly involved in helping hundreds of Jewish orphans from Germany and the Balkans to find shelter, and he was at Venice station to welcome the first train of young refugees from Croatia. On several occasions, he cycled all the way from Bologna to Venice to visit the children, to play with them and to play the piano for them. When Nazi Germany occupied Italy after 8 September 1943, Finzi continued in his underground activities helping persecuted Jews, helping to smuggle children into Switzerland, and procuring false Italian identity cards for Poles, Russians, Germans, Hungarians and others. Finzi was arrested on 31 March 1944. He was on his way to a local hospital to pay for the stay of a sick Jewish boy. At first he was detailed in Bologna in the jail at San Giovanni al Monte and then in the Fossoli concentration camp, before he was sent to Auschwitz-Birkenau in May 1944. According to Eliakim Cordoval, a Jew from Rhodes who helped him, Finzi died because of a grave intestinal infection on 22 February 1945, almost a month before the camp was liberated. Another version says Finzi threw himself on the high-tension wire surrounding the camp, leaving behind a message asking his parents for their forgiveness. His name is kept alive in Bologna today on the pedestrianised street where Bologna’s main synagogue stands. And it was an honour to have my photograph from the street used as part of the Holocaust Memorial Day commemorations in Bologna yesterday.